So come in this weekend to claim your additional $1000 Savings! * In the meantime, you can shop the below deals or call 415-863-9000. We look forward to hearing from you! *$1000 offer valid on eligible new model year 2018 and 2019 vehicles in dealer stock delivered and retailed through April 30, 2019. Models excluded are 2019 X7, 8 Series (all variants), 2018 M2 Coupe, 2019 M2 Competition,and M5 (all variants). This offer cannot be used for previously ordered or previously delivered vehicles and is only valid on deliver of in-stock vehicles. 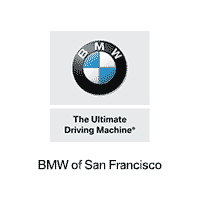 Offer valid to customers – and their family members residing within the same household – attending the Owner Loyalty BMWSF Event on Saturday, 2/9/2019 or Sunday, 2/10/2019 and registered at the event. Offer valid on final negotiated price and may be combined with other applicable BMW offers that are available at the time of purchase. Only one per person. Offer valid towards purchase price of eligible vehicle.